Suppliers: Annie Sloan Chalk Paint. 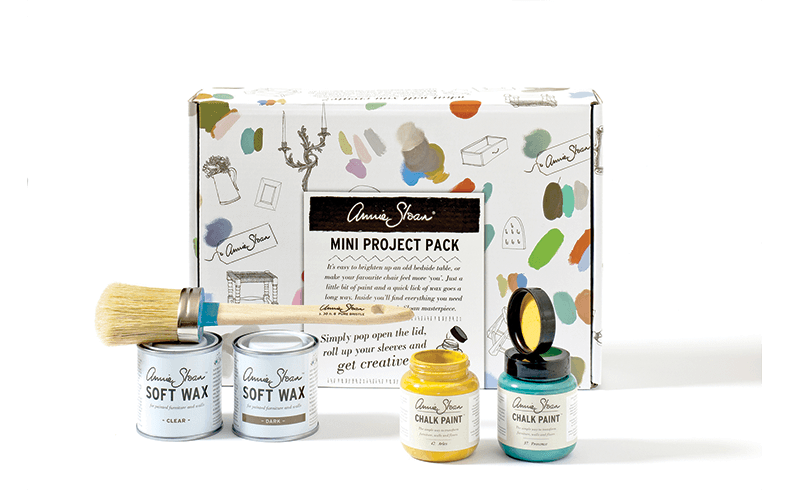 For fans of the much-loved Chalk Paintby Annie Sloan range of decorative paints, the new Annie Sloan Mini Project Pack has recently been launched. 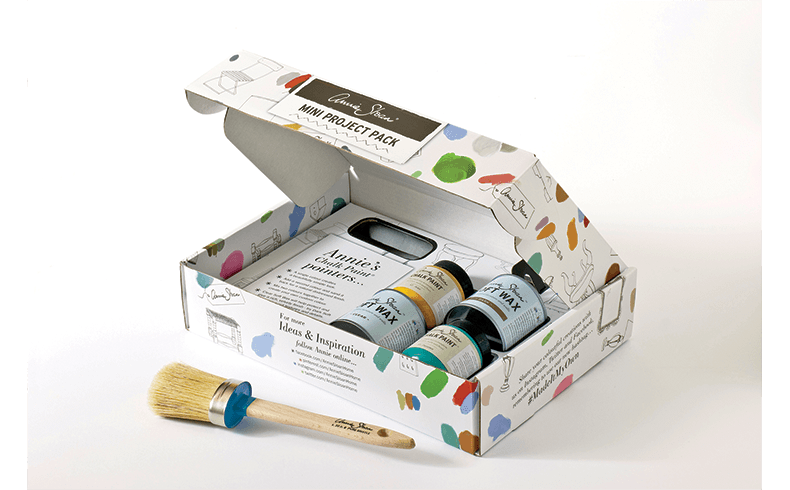 With everything needed to create a small project such as a chair or bedside table, this nifty project pack includes two small project pots of Chalk Paint [100ml] in colours of your own choice, onetin of Clear Soft Wax [125ml], one tin of Dark Soft Wax [125ml] and a small pure bristle Annie Sloan brush.The Packs are priced from $123.95 and are available from Annie Sloan stockists.